Come up where you are. Ego and surrender yourself before God. Aspire to God and obtain freedom. 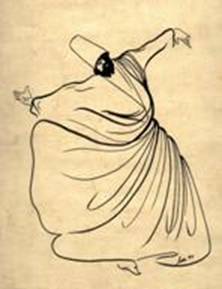 Sufism recognizes and nurtures the spiritual nature of human beings. Without nurturing the soul, any religion can become hard and dogmatic. Islam’s long legacy has been to nurture the spiritual nature of man…….. The spiritual richness of Islam is the aspect that the fundamentalists and extremists have carefully extracted from their teachings, schools, and mosques. This is something that has been systematically and consciously cultivated for many years. without the teachings of its saints and shaykhs. for the Extremist, Islam is about power. For the Sufis, Islam is about Surrender. Sufism teaches the importance of balance. Sufism teaches the importance of having a spiritual guide. and the understanding of the nature of man and the Divine.